Cabins and lodges throughout the Villages of Mt Hood, some within walking distance of The Bite. 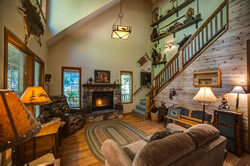 All homes are fully furnished with well-equipped kitchens, fireplaces and woodstoves, cable TV, WiFi and hot tubs. Reduced spring rates plus your 3rd night is ½ price, the 4th night is free. Stay for The Bite and receive 2 wine glasses and two tickets for The Bite. Vacasa Rentals We offer a unique selection of privately-owned professionally managed vacation homes. From secluded county cabins to hip condos we have the perfect getaway for you. 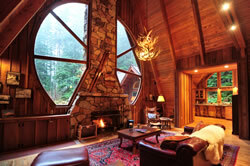 Discover The Experience of Log Home Living. 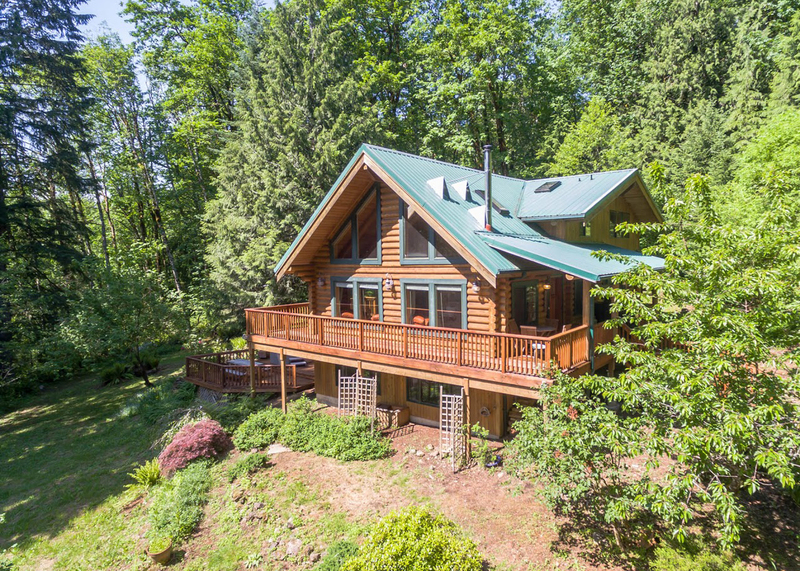 Sandy Salmon B & B Lodge is a finely crafted Log Home with excellent use of timber and glass, that take advantage of the wonderful views of the Sandy and Salmon rivers and the mountains. It is finished to an extremely high standard, and you are greeted with a Koi pond, as you enter. Included are treats, a wonderfully cooked breakfast, free Wifi, theater and billiards room. Make your reservation with promo code BITE for a 20% discount for April 29 & 30(2017) for an outing to remember. 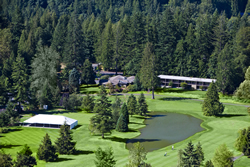 The Resort at the Mountain, a nature-inspired golf and spa resort with meeting facilities nestled on 243-acre - less than one hour East of Portland. A unique, naturally-inspiring setting with year-round beauty. 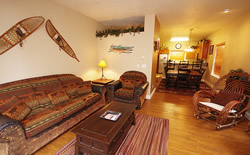 The Resort at The Mountain is offering a special rate to "BITE" goers: we will offer the 20% off on rooms when booking for the Bite, April 27th, 28th and 29th. Enjoy all the amenities The Resort has to offer. Rate is exclusive of Resort Fee and Tax. Enjoy the weekend skiing on Mt. Hood or hiking the area trails and an evening at The Bite of Mt. Hood. Relax in our hot tub on a covered bridge spanning our creek. Our cabins sleep 1 to 4 guests, have full kitchens, flat screen TVs with cable and over 700 free movies to select from in our office. We have discount Lift Vouchers for Timberline,Ski Bowl and Mt. Hood Meadows, as well as coupons for equipment rentals and food for our guests. Tell us you are attending "The Bite" when you call. This offer is valid for April 27, 28, and 29, 2017 with reservations. 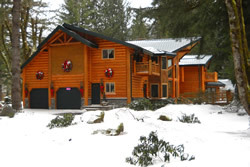 All Seasons Vacation Rentals, the Premier Vacation Rental company for the Villages of Mt Hood, is locally owned and operated within minutes of our Vacation Rentals. We strive to provide you with quick and superior customer service during your stay with us. 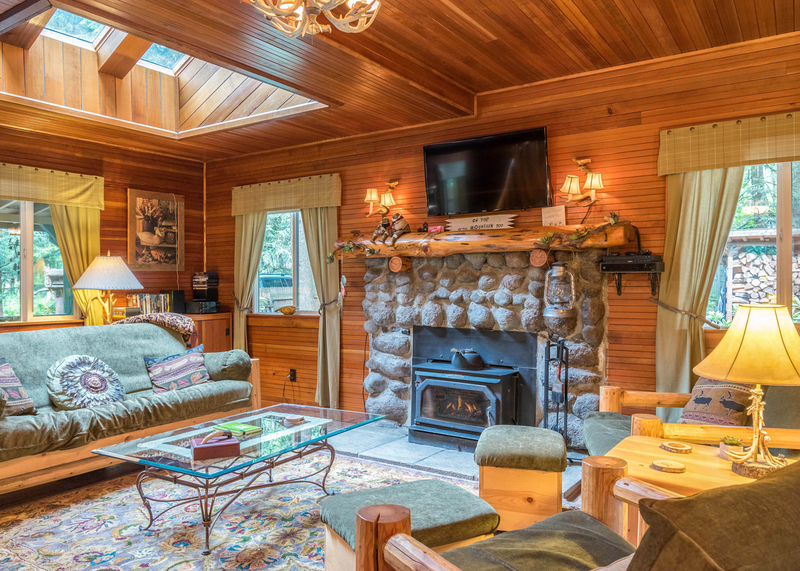 Each of our Vacation Rentals is unique in its location, decor and general feel, offering cozy cabins to sleek, spacious villas & ski lodges. Our extensive inventory has a variety of amenities including River or Creek front locations, pet friendly homes, hot tubs, saunas, gourmet kitchens and a variety of views. Want to relax by a bubbling water way, sink into your surrounding and escape life for a while…we have it! 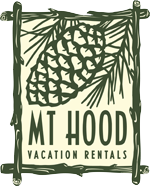 Luxury Mount Hood lodging set in the heart of Government Camp, Oregon. 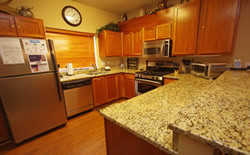 Here you will find the largest collection of quality resort vacation rentals, perfect for your Mt. Hood retreat! Our experienced and onsite Vacation Specialists and staff are committed to providing exceptional service and wonderful and memorable experience for all of our quests. We look forward to seeing you on Mt. Hood! Hidden Woods Bed & Breakfast "As Comfortable As A Sunday Morning" Hidden Woods is a Log Cabin Bed & Breakfast built in 1929. It's rustic looks add to it's charm and the modern conveniences add to your comfort.